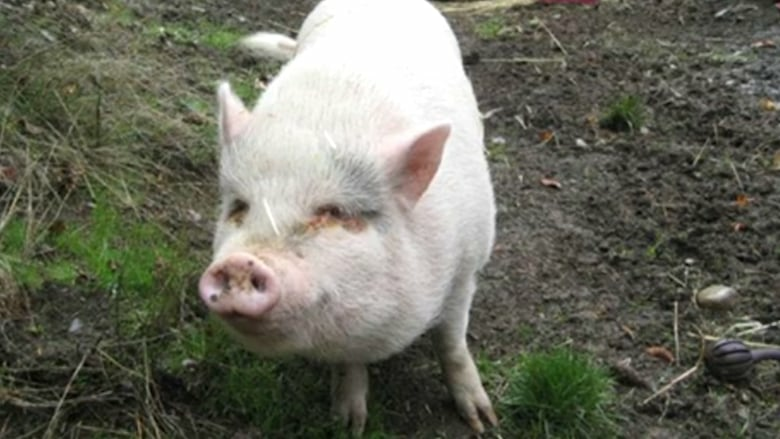 Molly's new owners, who adopted the Vietnamese pot-bellied pig last month, reportedly had problems with Molly and slaughtered her for food. No charges are being laid. Last summer, Leon Davis cared for dozens of squirming piglets after a rescue operation in Duncan, B.C. 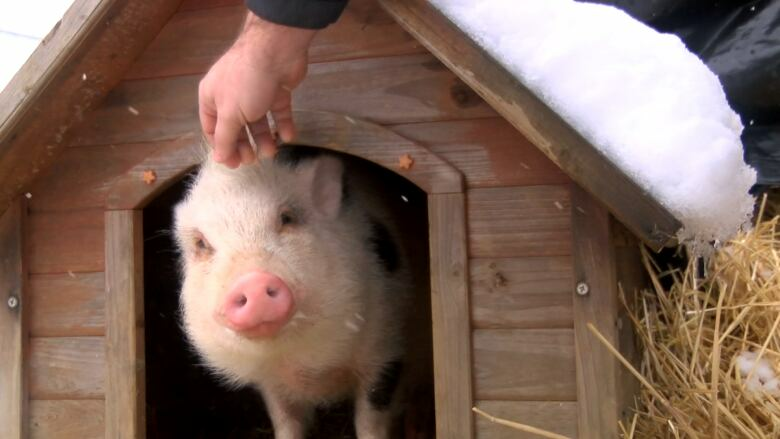 One of the 57 animals the Nanaimo SPCA branch manager nursed back to health was Molly, a Vietnamese pot-bellied pig who finally found her forever home last month. But just weeks after the adoption, Davis heard the news: Molly had been butchered and eaten by her new owner after problems were reported with the little pig. "First reaction I'd say was shock. Heartbreak. You know, all the animals that come through our care or branches we get attached to," Davis said. Molly's owner isn't being charged, Davis said, but they'll be blacklisted by the SPCA and won't be allowed to adopt again from any of the province's locations. His new porcine ward, 10-month-old Jack, highlights how much dedication a pet pig requires. Jack was turned in to the SPCA by a family who adopted him as a stray. "He was a little bit nippy at first, but we're working on that," Davis said. He built Jack a house outdoors and says staff bury Jack's meals so he can root. "He's not biting anymore," Davis said, laughing. A prospective adoptee's property and experience are taken into consideration before they can take livestock home, according to the SPCA. Although Molly's owner was vetted by the SPCA — and signed a contract specifically stating that the pet couldn't be killed or consumed — Davis said it's not a criminal offence to breach that contract. Animal cruelty laws only apply when an animal suffers, he said, and investigators found that Molly was killed humanely. "People can lie, I suppose, and there's not always a way to tell," Davis said. "But we try to impress on people that we're here to support and help if anything's gone wrong." He added that the SPCA would have taken Molly back into its care if the owner couldn't find a solution to the problems they were reportedly having. He's disappointed the law allows any owner to kill their pet — be it dog, fish or pig — at their discretion, and although he's never seen it happen before, he thinks the law could be changed to prevent future slaughters. "Any humane euthanasia decision should be under the supervision of a veterinarian," he said. "I'm hoping that might change in the future."